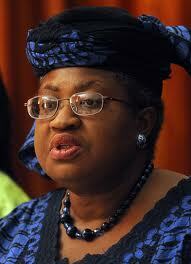 Gunmen Sunday abducted the mother of the Minister of Finance, Prof Okonjo-Iweala in Ogwahi-Uku, Delta State. Okonjo-Iweala’s mother who is the wife of His Majesty, Professor Chukwuka Aninshi Okonjo Agbogidi, the reigning Obi of Ogwashi-Uku kingdom was kidnapped Sunday at about 1:30 pm from the husband’s palace at Ogbe-Ofu quarters in Ogwahi-Uku by eight gunmen who stormed the palace in two Audi cars. It could not be immediately ascertained if security men were at the palace when she was kidnapped. Delta State police public relations officer, PPRO, Mr. Charles Muka in his reaction said “yes, we (police) have got the information on the kidnap and we have also got information that will lead to the arrest of the hoodlums”. According to a dependable source, the woman who is a trained medical doctor and a professor was pushed into one of the Audi cars and driven to an unknown destination. The source, who pleaded anonymity, said security agents have been drafted to the palace for fear of the unknown. A senior police officer in the State who pleaded anonymity however said that massive manhunt has commenced to rescue the Queen of Ogwashi-Uku.